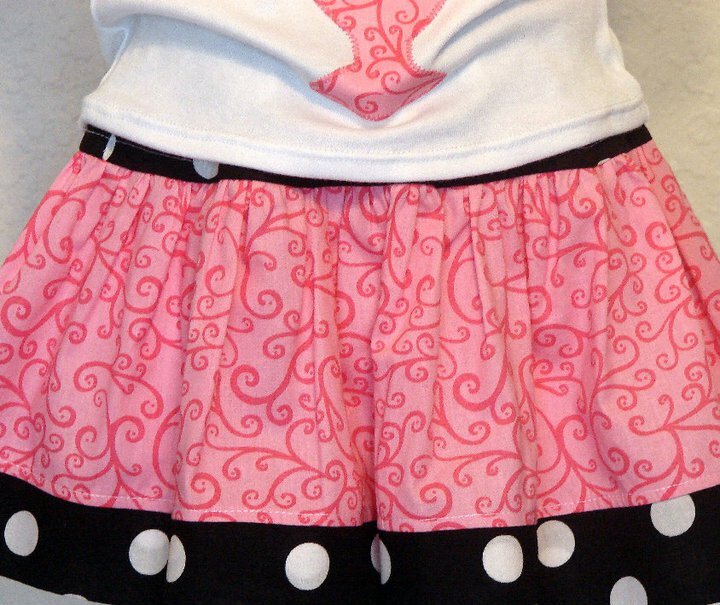 Custom boutique handmade clothing made in the USA for kids...with quality and style! 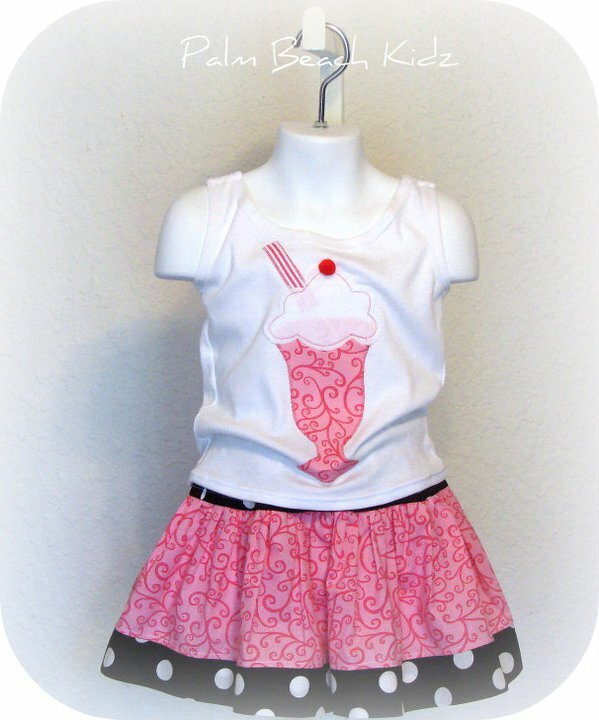 A yummy skirt set for milkshake lovers! 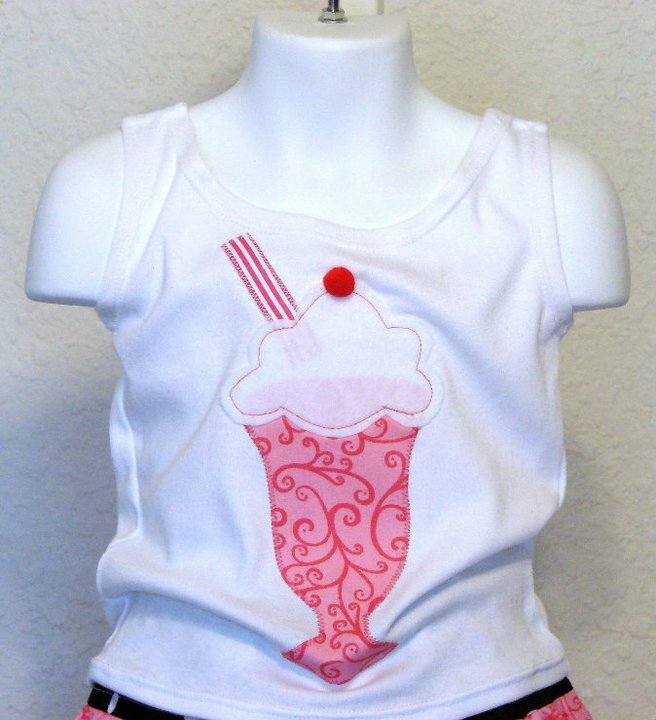 Soft white custom tank top has a strawberry milkshake applique, and the sweet twirl skirt is done in contrasting pink and black and white polka dot woven cotton.